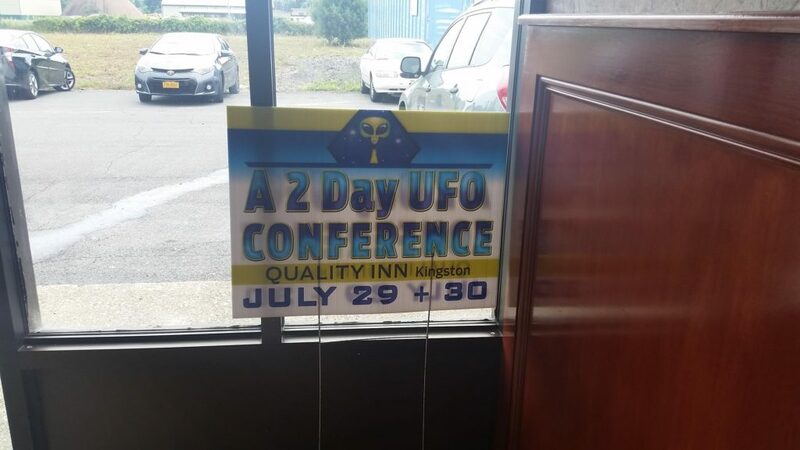 On this episode of Listen with the Lights On, we visit a UFO Conference in Kingston, New York, where a few dedicated individuals are devoted to unearthing the truth behind this popular modern lore. Unidentified flying objects have fascinated humans for centuries. We didn’t have an official name for them until about 1953, when the US Air Force coined the term UFO. The Mutual UFO Network, the largest privately funded research center, says it received over 8,000 reports of sightings in 2014. MUFON and another reporting body, the National UFO Reporting Center (NUFORC) each claim to receive as much as a thousand reports per month. New York’s Hudson Valley has been known as a hotbed of UFO activity—a famous series of sightings took place in the skies over the region in the 1980s. Unsolved Mysteries dedicated an episode to them in 1992.